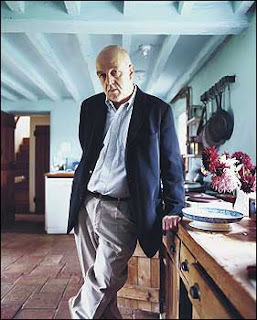 Where to begin with James Fenton? He's the recipient, this year, of the Queen's Medal for Poetry, and the man who rode the first North Vietnamese tank into the Presidential Palace when Saigon fell in April 1975. He's a trustee of the National Gallery, intimately involved with the choosing of that institution's new director, and the one-time film critic of Socialist Worker, slapped over the wrist by the comrades for an over-enthusiastic meditation on the joys of the Carry On series. He's the Antiquarian of the Royal Academy, and a man who was kidnapped in Belfast by the IRA - his captors took a vote on whether to shoot him; it was decided, 5-4, that he should live. He's adapting Don Quixote for the Royal Shakespeare Company, and he's the man who was commissioned by Cameron Mackintosh to write the book for Les Misérables - a task he never completed but was none the less rewarded for with a slice of the action, thus making him almost the only rich poet in the world. He has an enviable collection of sculpture and, tucked away somewhere, the monogrammed towel belonging to Imelda Marcos that he purloined when he and a joyous crowd stormed yet another presidential palace on the day Imelda's husband was deposed. His voice trails away. He's sitting beneath a pergola in the remarkable garden he's created at his house, six miles from the centre of Oxford. A heron is honking, bees are buzzing and sunlight is playing on his massive head. Not that it's out of proportion; there is, as his friend Christopher Hitchens says, 'a lot of James'.